As the fifth step of an organic SEO process, SEO professionals must monitoring and adjust site structures according to visitor traffic, behavior and conversions. When a new site has been launched, or when an old site has been improved, the 5th Commandment of monitoring and adjustment begins. Initial results appear within days of submitting the sitemap. This ranking is often surprisingly high and is considered a kind of honeymoon, a gift of encouragement from Google before the war of organic SEO begins. Organic SEO has as much to do with trend as with ranking. If your site drops in ranking consistently, your SEO strategy is weaker than your competition. In proper order, rank must perpetually rise. Exceptions often occur with penalties or wrong listings or mistakes on the part of the search engine. 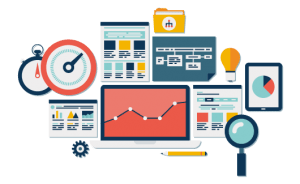 One reason you pay a monthly fee for hiring an Organic SEO company is that they constantly monitor and adjust your site based on its ranking progression. It takes time to perceive how a search engine has categorized and ranked your site, and even more time to keep your fingers on the pulse of the competition. If your website ranking has stabilized within half a year, you can pull your units back from the front lines and focus on maintenance.